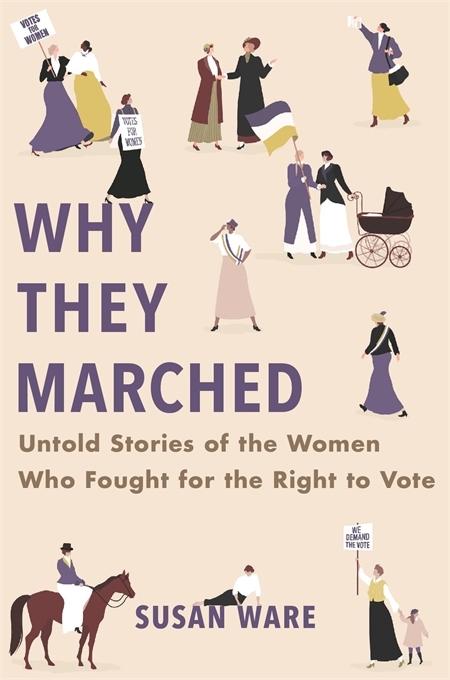 Looking beyond the national leadership of the suffrage movement, an acclaimed historian gives voice to the thousands of women from different backgrounds, races, and religions whose local passion and protest resounded throughout the land. 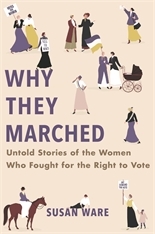 Ware tells her story through the lives of nineteen activists, most of whom have long been overlooked. We meet Mary Church Terrell, a multilingual African American woman; Rose Schneiderman, a labor activist building coalitions on New York’s Lower East Side; Claiborne Catlin, who toured the Massachusetts countryside on horseback to drum up support for the cause; Mary Johnston, an aristocratic novelist bucking the Southern ruling elite; Emmeline W. Wells, a Mormon woman in a polygamous marriage determined to make her voice heard; and others who helped harness a groundswell of popular support. We also see the many places where the suffrage movement unfolded—in church parlors, meeting rooms, and the halls of Congress, but also on college campuses and even at the top of Mount Rainier. Few corners of the United States were untouched by suffrage activism.